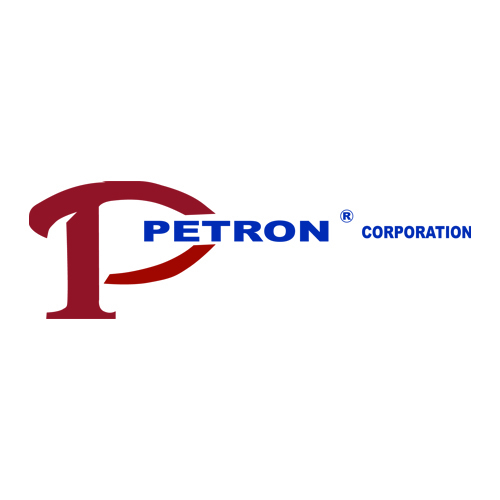 Petron Corporation manufactures a diverse range of high performance and specialty lubricants and open gear greases that are utilized in the mining, cement, power generation and private label markets worldwide and in such applications as Mills, Kilns, Shovels and Draglines. In addition, Petron Corporation is a leading designer and manufacturer of OEM approved open gear lubricant and open gear greases. Easy Bar Rotary Kiln Lubricant KTL 100 Synthetic high temperature solid film lubricant for kiln tires and trunnion rollers. Gear Run-In 391 Open gear lubricating oil blended with chemical additives designed to remove asperities on open gear tooth surfaces. OGL 585 NC High viscosity OGL for shovels and draglines, for use in ambient temperatures ranging from -18°C (0°F) to 10°C (50°F). OGL 585 W High viscosity OGL for shovels and draglines, for use in ambient temperatures ranging from -18°C (0°F) to -40°C (-40°F). OGL 595 NC High viscosity OGL for shovels and draglines, for use in ambient temperatures of 0°C (32°F) and above. Spider Bushing Crusher Lube Premier non-polymer, viscous, semi-fluid, lubricant designed to lubricate spider bushings found in crusher applications. Petro Lube 500 Series Oils High performance petroleum gear oil with moly, excellent for use in gyratory crushing applications. Petro Lube 600 Series Oils High performance EP gear oil for enclosed gear boxes. HV EP High viscosity EP lithium complex grease. HV EP Moly High viscosity EP lithium complex grease with moly. MV EP Medium viscosity EP lithium complex grease. MV EP Moly Medium viscosity EP lithium complex grease with moly. Petro Plate M5/800 – NLGI #0, #1 EP grease containing 5% molybdenum disulfide and exhibiting 800 weld load. Meets major mining equipment OEM specification. Poly Film EP Grease High performance EP grease with the addition of polymers. Petro Kleen 140 Softening agent for open gear lubricants designed to soften and clean contaminant build up in gear tooth roots. Pensolv L945 Ideal plant-wide cleaning solvent that will quickly clean oils, greases and open gear lubricants. Gear Shield Synthetic Transparent synthetic high viscosity open gear lubricant for mills designed to be sprayed through all automatic lubrication equipment. Kiln Lube 200 Synthetic high viscosity open gear lubricant for mills and kilns, for use in sump applications in cold weather. Kiln Lube 300 Synthetic high viscosity open gear lubricant for mills and kilns, for use in sump applications in warm weather. Hi-Temp Lube 242 A unique lubricant blend of graphite, oil, and additives for traveling grate systems. Petro Cam WCL Walking Cam Lubricant for drag lines with a walking mechanism that requires lubricating the rails and cams. Rail & Flange OBL Lubricant for wheel flange and rails found on railroad locomotives. Gear Shield® NC High viscosity residual open gear lubricant for mills and kilns applied via intermittent spray for use in ambient temperatures of 0°C (32°F) and above. Gear Shield® NCW High viscosity residual open gear lubricant for mills and kilns applied via intermittent spray below 0°C (32°F). Gear Shield® NC Aerosol High viscosity residual open gear lubricant for mills and kilns packaged in aerosol spray can. Gear Shield® P Synthetic high viscosity open gear lubricant for mills and kilns applied via intermittent spray with exceptional performance at elevated temperatures above 93°C (200°F). Gear Shield® P 1000 Synthetic high viscosity open gear lubricant for mills and kilns designed for continuous (sump) lubrication systems. Petrotac EP Premium 10B High viscosity synthetic OGL for shovels and draglines, for use in ambient temperatures 0°C (32°F) and below. Meets Bucyrus International Inc. SD4713 OGL specification. Petrotac EP Premium 20B High viscosity synthetic OGL for shovels and draglines, for use in ambient temperatures ranging from -26°C (-15°F) to 25°C (77°F). Meets Bucyrus International Inc. SD4713 OGL specification. Petrotac EP Premium 30B High viscosity synthetic OGL for shovels and draglines, for use in ambient temperatures 0°C (32°F) and above. Meets Bucyrus International Inc. SD4713 OGL specification. Petrotac EP Compound 20 High viscosity synthetic OGL for shovels and draglines, for use in ambient temperatures ranging from -29°C (-20°F) to 10°C (50°F). Petrotac EP Compound 30 High viscosity synthetic OGL for shovels and draglines, for use in ambient temperatures ranging from 0°C (32°F) and above. Tire Slide Sprayable water and graphite lubricant for kiln tires and trunnion rollers.